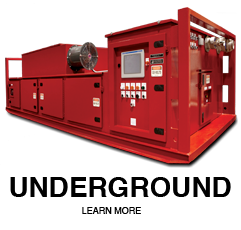 Since 1964 System Controls, Inc., has advanced underground and surface conveyor control technology utilizing AC (VFD) Drives, DC Drives, fixed-filled fluid couplings, and variable-filled fluid couplings for load sharing of multiple motors for main and booster drives from 480 to 4160 VAC for applications in North and South America. Surface applications can be supplied in an eHouse that contains multiple air-cooled VFDs, medium voltage lineups, motor control centers, HVAC, low voltage ancillary motor controls, and PLC controls. Installation of the eHouse requires only power feeds, motor leads, and field device terminations. All interconnections are factory installed and tested. 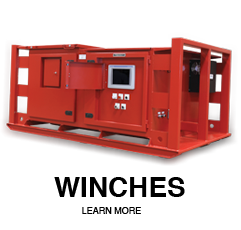 Underground products can be skid-mounted enclosures with VFDs, motor controls, and PLC controllers cooled by integral air-to-air heat exchangers. If you have conveyor controls that you’ve forgotten about, they are most likely ours.